La Ligne's name translates from French to mean 'the line' which is why its designs feature some kind of stripe. 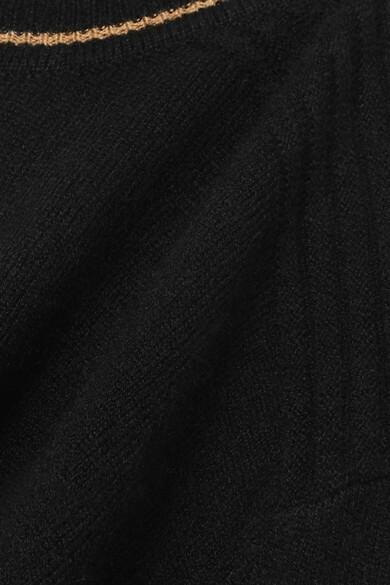 This 'Neat' sweater is knitted for a slightly loose fit from black wool blended with cashmere for softness. 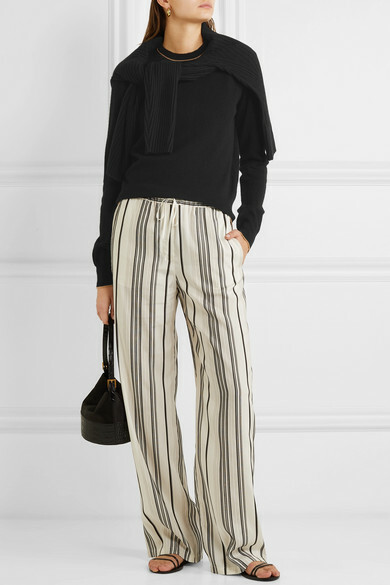 Wear it with light pants to keep the camel hem on display.